Most employees in the Call Center Industry is paying the above minimum SSS premium, we owe that to our industry that pays us well. Paying a high SSS premium doesn't mean that you will be receiving a huge amount of monthly retirement pay. Just like you, we all have a simple dream of retiring someday and finally hanging up our headsets. After reading an article in Inquirer about a retired employee who’s excited to get his SSS pension only to get disappointed because, his monthly retirement pay would only amount to 4500 pesos I got upset. If I was that guy I would just laugh so that I don’t have to cry. This is the reason why most call center employees are looking for companies that offer retirement packages because when the time comes that we have to retire we will not rely on SSS alone. I’m not a law practitioner however; based on the labor code above it appears that every BPO company should have a retirement plan provided that you have stayed for more than 5 years in your company and you retire by the age of 60 or depending on the retirement age imposed by your employer. Below is a list of BPO / In House Companies that offer Retirement Plan for a minimum 5 year length of stay. The list would be in Alphabetical Order so that it would be easy to search; finally if your company is not listed below it doesn’t mean that they don’t offer retirement plan you just have to check with your HR to verify the required length of stay before you qualify for a retirement. 1. Citigroup – a portion of the salary will be kept for retirement and the company would also give the same amount for retirement. 4. JP Morgan – we have reached out to ex-employees and they can’t remember how the retirement plan was implemented. Based on the comments section. 5. Thomson Reuters – The company will set aside 7% of your basic pay after reaching 6 months/regularization then it's up to the employee if they want to set aside 1-3% of basic salary (salary deduction) then Thomson Reuters will add the same percentage that you give to your retirement plan giving you a maximum of 13%. 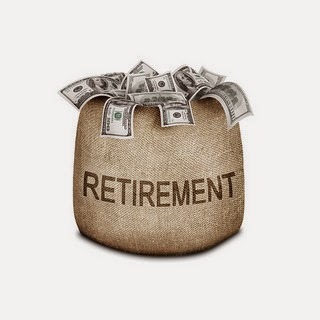 (7% Automatic Thomson Reuters retirement plan + what ever percent you want (1-3%) + same percentage of what you are giving will be provided by Thomson Reuters as well). After 5 years employee is entitled for the 25% of the Retirement Package by Thomson Reuters + the 100% of the percentage that you set aside; Then every succeeding years after 5 years they will add 5% to the 25%. In case you did not make it to 5 years the employee share will be refunded. A company that offers a 5 year retirement plan would have an advantage against those companies that are not offering the said benefit because; it could lower down the attrition rate and the employee would feel secure with the company. Though some BPO/In-house centers don’t have a 5 year retirement plan they can handle us very well and won’t treat us as a number. The 5 year retirement plan is not mandatory still, as BPO employees we would appreciate getting a compensation for the years that were lost for providing excellent customer service. Please send us an email at thecallcenterfocus@gmail.com if your company offers the same benefit and inform us if you want your name withheld we assume that you want your name published if we did not see this message. For additional inputs please head on to the comments section. Thank you for supporting CallCenterFocus the community that’s built by call center employees for call center employees. Note: The list above is based on the comments section, from our own personal experience and messages that we got from Facebook it may be updated from time to time once we have verified the necessary information. It would still be best to check with your HR on how they implement the retirement benefit for your company. According to Convergys, they do not have the 10 year retirement plan. What they have is the 60 y/o retirement plan. Thanks for the input to clear things out we messaged Convergys Philippines via their Facebook Page. As for Thomson Reuters, an employee has the option to set aside 1%, 2% or 3% of his/her salary each payday for the employee share. The company then will allot the same amount times 2 (so they double it). If you resign after being on for 5 years, you get 20% of the company share. If you stay 10 years, you get the full amount. Thank you so much for helping our community, we will update our info above. Thank you we will update the post. This is the correct one. Please update the article. Thanks for the follow up we have updated the article. Thank you very much for that info we will be removing Teletech from the list. Hewlett Packard also has a 5 year retirement plan. Not sure of the computation though. Thank you we will add HP on the list. I work for Wells Fargo EGS Phils., and we have retirement plan. @3:01AM Thanks for the confirmation, do you know how is it being implemented? How about companies that were acquired by another BPO. Take for example Stream and Convergys. Will Stream employees (who have been with the company for 5 years or so) be eligible for the retirement plan of 5 years? @10:49 Yeah you're right I will check this with our HR. Any update on the retirement plan? How about EGS RETIREMENT BENEFIT PLAN? I know this post is old but for anyone interested in applying for JPMorgan Chase & Co. The retirement plan works like this. The moment you start at JPMC, the company would put 6% monthly calculated from your basic salary to retirement. They are not deducting it from your salary they are calculating it. After 5 years of service if you resign you'll get 30% of retirement funds, 6 years 40%, 7 years 50%, 8 years 60%, 9 years 80%, and 10 years 100%. You are not able to put money of your own. They go through a balanced investment locally, not conservative nor aggressive. We get a report each quarter if it has earned or not. That's pretty much it. I've also heard AMEX has a 5 year early retirement and you can put your money on there. Wells Fargo also.